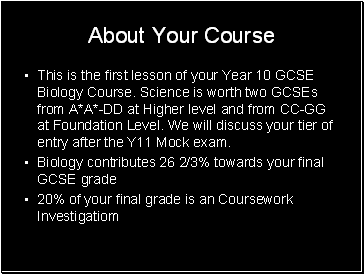 This is the first lesson of your Year 10 GCSE Biology Course. 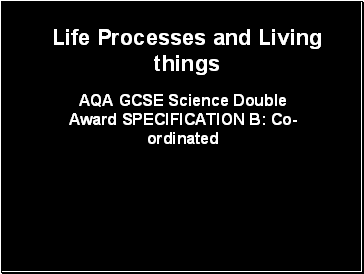 Science is worth two GCSEs from A*A*-DD at Higher level and from CC-GG at Foundation Level. 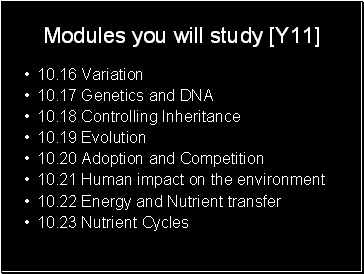 We will discuss your tier of entry after the Y11 Mock exam. 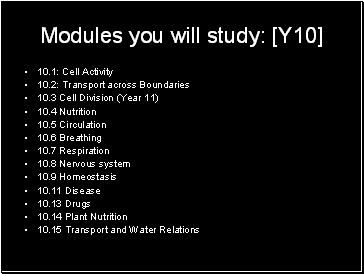 To be able to show this in a visual form. 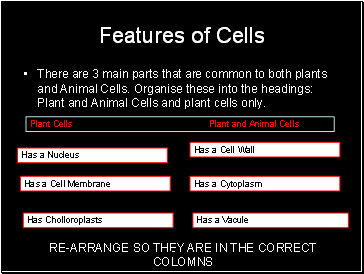 There are 3 main parts that are common to both plants and Animal Cells. 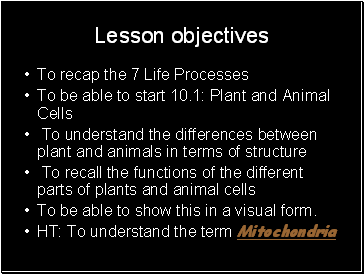 Organise these into the headings: Plant and Animal Cells and plant cells only. 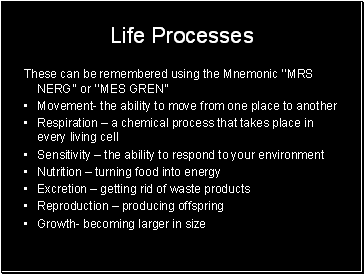 What are the functions of the Cell?